“ Specialize in the development and marketing of next generation innovation consumer products by applying advanced technologies and know how to every aspect of product development. Daka Group has primarily been engaged in design, development and marketing of next-generation consumer household products since 1993. 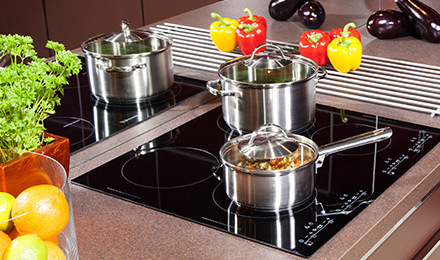 Upon its pioneer of One Touch Can Opener in 2006, Daka has focused on kitchen gadgets markets and subsequently established One Touch and Kitchen c.c. brand. Other than making the most of its inventiveness and technological expertise, Daka offers something more to a market that's hungry for innovation: youthful exuberance. The clean lines, up-to-the-minute styling, and flashes of colours prove that anyone can find joy in food preparation – even those who are put off by traditional kitchen equipment. Last year, Daka merged with Alpha Home Group Ltd and enriched the product lines with playful kitchen tools and gadgets for cooks who want to have fun and turn out great food. We use our design, engineering, and marketing talents to turn raw ideas into tools that appeal to the eye as well as the hand. This is a range of kitchen equipment that cooks prefer to display than put away. Our products are regulars on the awards podium. Their combination of good looks and time-saving practicality has caught the attention of judges around the world. And the best way to see what the judges saw is to try them yourself. Because of a young and energetic company where we can inspire each other and aspire for the better. We stand for us, you and them who love simple things to make light work of everyday chores and have fun whilst living a little difference in their lives. At the time we make a dish and cook a fish, or we hear the experiences from our people around us; at the time we watch a program on TV or skim a clip on internet, we will come up with an idea. We had passed lanes and sideways in the city with our bike. We had dared to dive into the sea to befriend with fish and corals, thanks to our seascooter. With flashlights on hand, we had walked in the dark. We were back home to play with pets and pests. Now, we are in kitchen. We have inhouse designers who have global sense while we get to the locality from our designers all over the world.